Technical Car Experts Answers everything you need: The trailer lights not working on 2004 F350 super duty? The trailer lights not working on 2004 F350 super duty? 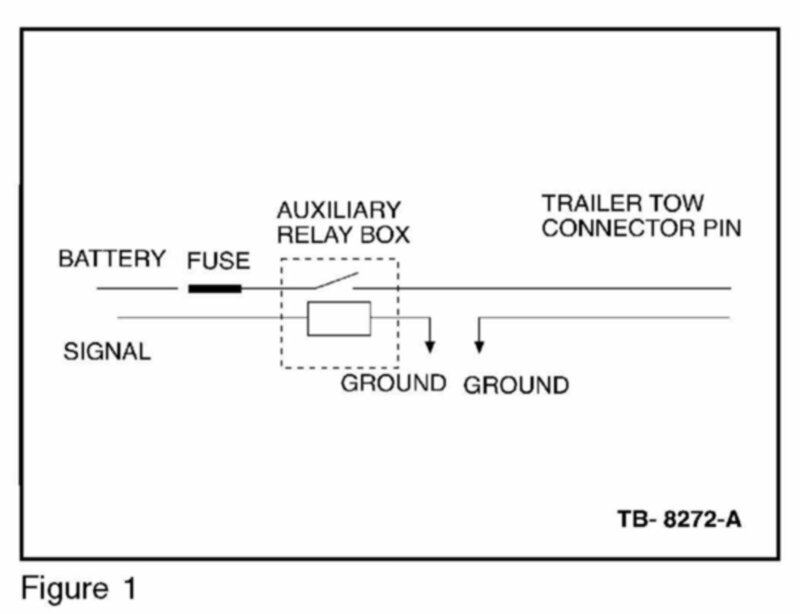 If the vehicle exhibits an open trailer tow fuse, refer to the following to determine if the open trailer tow fuse concern is caused by the vehicle or the trailer wiring. If the vehicle does not exhibit an open trailer tow fuse, follow normal diagnostics. NOTE FAULTS OR REPAIRS CAUSED BY TRAILER WIRING ARE NOT WARRANTABLE. NOTE VEHICLE WIRING MAY DIFFER FROM MODEL-TO-MODEL OR YEAR-TO-YEAR. ENSURE THE TRAILER IS WIRED CORRECTLY FOR THE VEHICLE. 1. Check Fuses F2.6 and F2.38 in the central junction fuse box, located under the dash panel, left hand side. a. If the fuses are okay, do not continue with this procedure. Follow normal diagnostics to determine if the issue is in the vehicle or in the trailer wiring. b. If a fuse is found open, proceed to Step 2.
a. If Pins 2, 3, and 4 pass the continuity test (no light), the concern is with the trailer wiring. b. 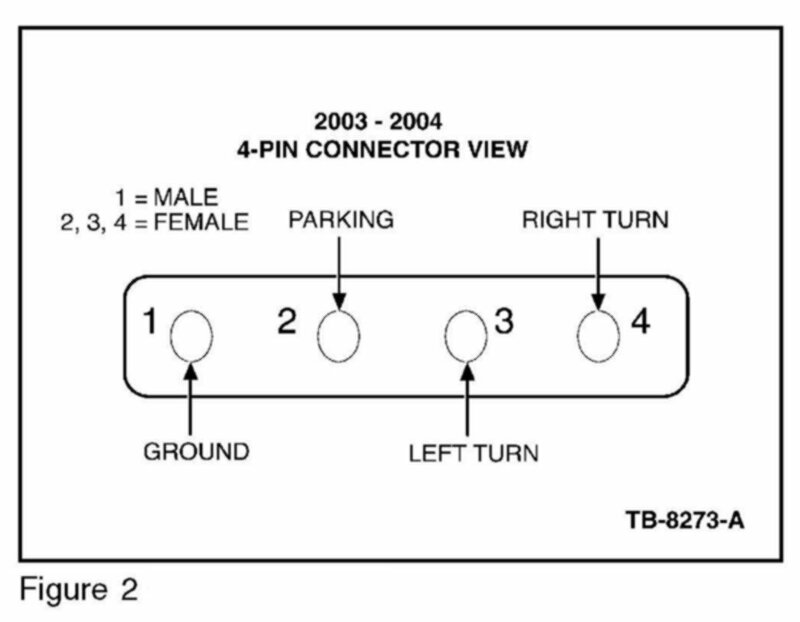 If Pins 2, 3, and 4 fail the continuity test (light), locate and repair the concern in the vehicle's wiring. 1. Check Fuses F2.6, F2.38, F2.39, and F2.115 in the central junction fuse box, located under the dash panel, left hand side. a. If the fuses are okay, do not continue with this procedure. Follow normal diagnostics to determine if the issue is in the vehicle or trailer wiring. a. If Pins 1, 4, 5, 6, and 7 pass the continuity test (no light), the concern is with the trailer wiring. b. 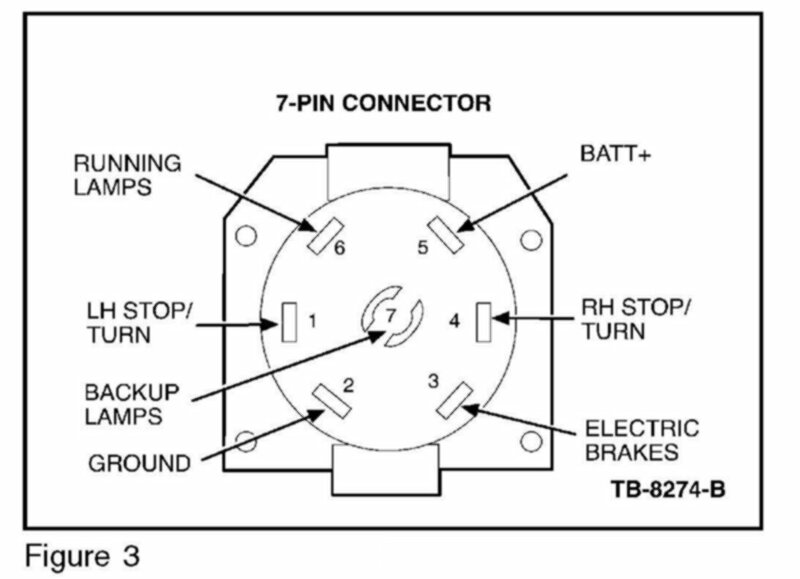 If Pins 1, 4, 5, 6, and 7 fail the continuity test (light), locate and repair the concern in the vehicle's wiring. Dont trust your fuse diagram. Its not always completely accurate. Check every fuse in your fuse box and then see if your trailer lights work. I had the same issue a few months ago, and found a fuse that was blown that was in no way associated with the trailer lights, when I replaced the fuse everything worked. Also Check the relays in that same fuse box under the hood. The pin could be bent or disconnected on the receiver. Check the wiring going to the connector on that vehicle. I believe it is the green wire. I would start by using a small pick that has a 90 degree bend in it to re bend out the pins on your trailer light socket on the truck. These pins wear down and bend closed so they don't interact with the trailer plug as well as they used to. Open the hood, and on the left/drivers side up close to the firewallat the inner fender area, will be a relay box. Turn the key ON, and turn on the right or left turn indicator or both directions and listen.. Do you hear 'either' the right/left trailer lamp relay clicking? Should be easy to hear. Labels: The trailer lights not working on 2004 F350 super duty.